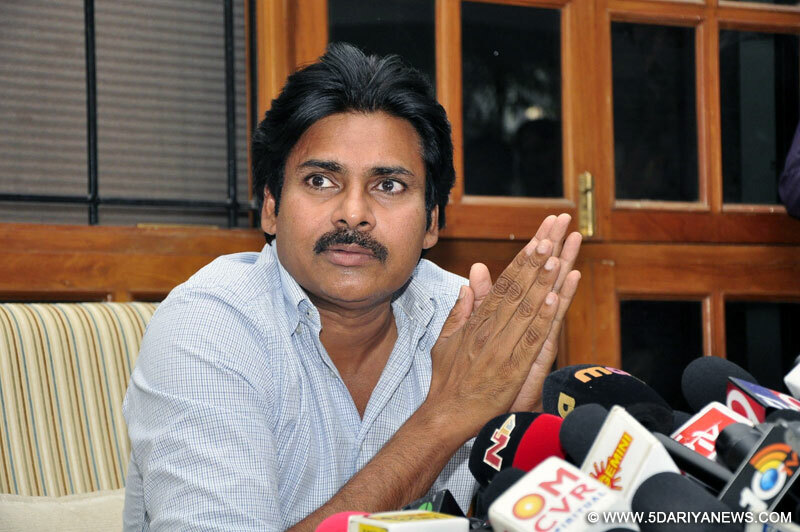 Terming the special package announced by the Central government for Andhra Pradesh as a "rotten laddu", Jana Sena party chief and popular Telugu film actor Pawan Kalyan asked the state's MPs to either fight and achieve special status or resign.Addressing a massive public meeting at Kakinada on Friday evening, he slammed the Bharatiya Janata Party for going back on its word to accord special status to Andhra and asked TDP if it will accept a "rotten laddu".The actor, in his emotional speech, targeted BJP leader and central minister M. Venkaiah Naidu, saying he has made a graveyard for BJP in Andhra Pradesh and remarked that the party leaders in the state should look for another party.At the meeting titled "Seemandhra Atma Gourava Sabha", Pawan repeatedly spoke about the self-respect of Seemandhra (Rayalaseema and Andhra). "Anybody with some self-respect will not become a slave to the central government," he said amid loud cheers by thousands of his fans.While targeting Congress for dividing the state in an unscientific manner, he lashed out at BJP for not honouring the commitments made in the Parliament. He said injustice was done to Andhra Pradesh by denying the special status while a high court is yet to be created for Telangana.This was Pawan's first reaction to the special package announced by the BJP-led NDA government, which declined to give special category status citing the report of 14th Finance Commission.The meeting had assumed significance in view of the state-wide protests by the opposition parties and people's organisations.On the shutdown called by the opposition parties on Saturday, Pawan said he was not against the shutdown, and it was for people to decide whether to participate in it or not. "But why should you toil. Let those who are sitting in Parliament and enjoying subsidised food in Parliament canteen fight and achieve it. You have elected and sent them there to fight," he said.Pawan had backed BJP-TDP alliance in 2014 elections. At the first public meeting last month in Tirupati, he launched a scathing attack on BJP for failing to fulfill its commitment.